Styled with bower t-shirt and the skater pant . 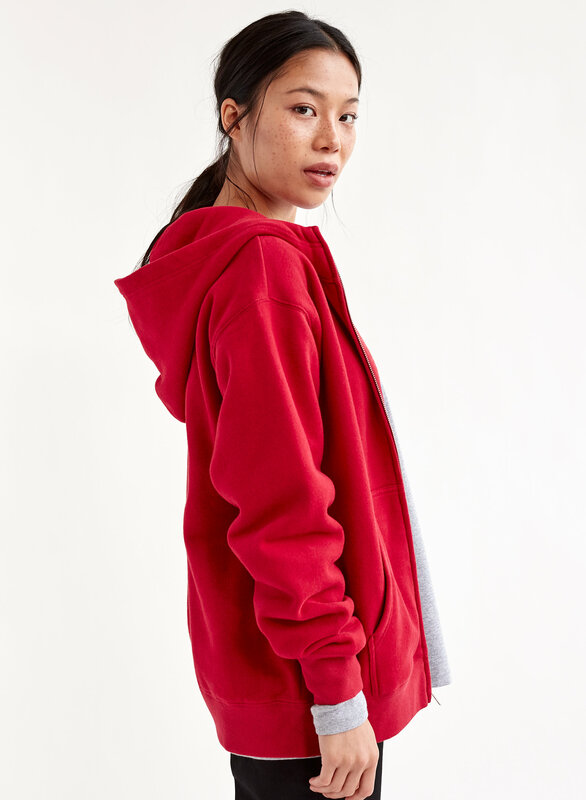 This zip-up version of The Perfect Hoodie is made with Tna's Classic Fleece, an ultra-plush, brushed fabric that keeps its shape. 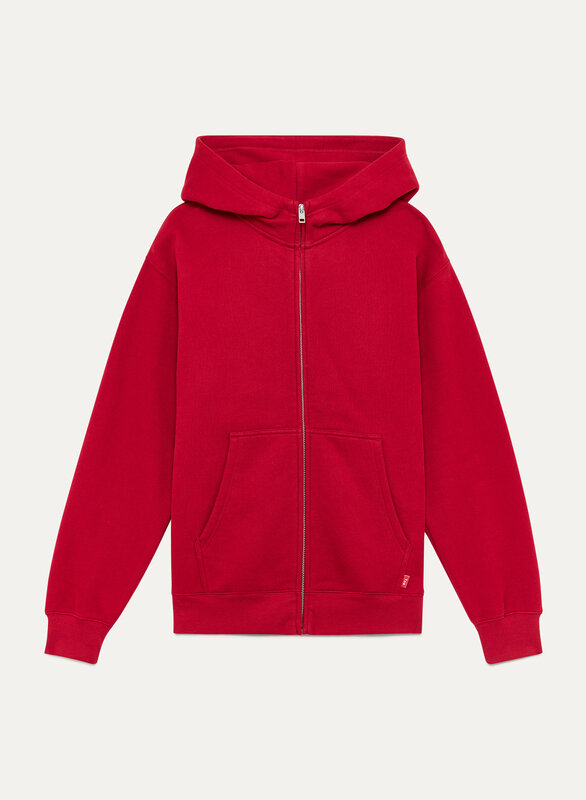 The hood is specially designed to keep its shape and sit perfectly on your neck and shoulders. I got this for my 15 years old daughter, she loved it! It is so soft and cozy. The material of these sweaters have significantly changed. Much thinner and lower quality material. 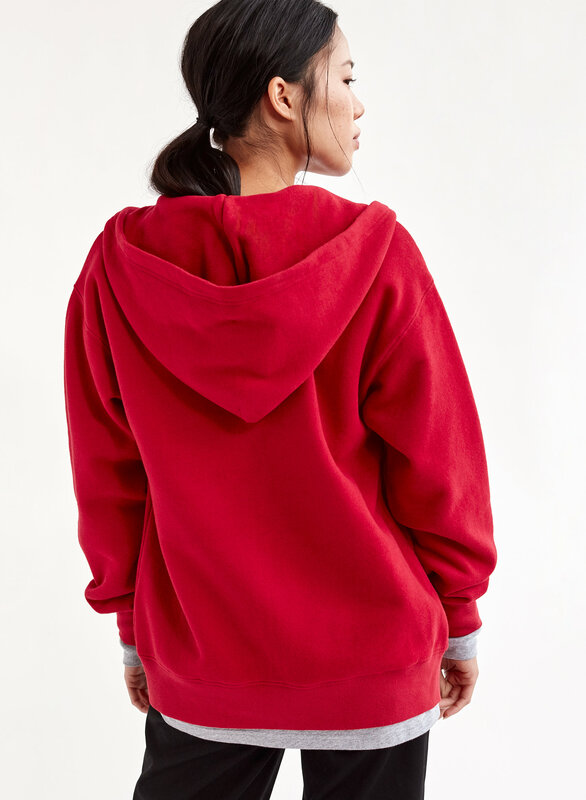 It's called the "Perfect" hoodie for a reason! 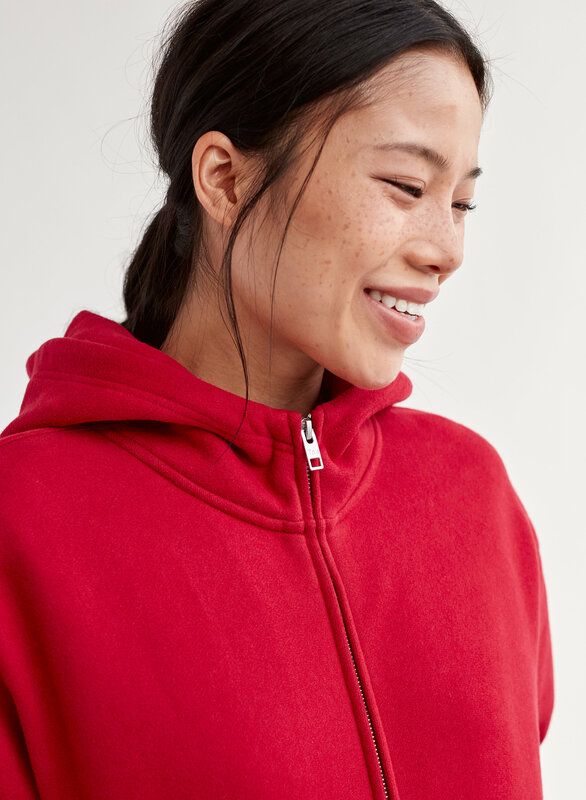 Soooo soft and super cozy. I bought this sweater hoping for an oversized hoodie, so I sized up. I love how soft the hoodie is, and I’m in love with the cardamom colour. The fit isn’t exactly what I was hoping for—it’s wide in the arms and body, but isn’t as long as I thought it would be, which leaves it looking boxy. I’m hoping the shape will soften with wash and wear. Fits great! Loved the brushed cotton - makes for a cozy feel! Definitely will add another to my wardrobe.